A few people who follow my blog have asked about Connor's job and how long he goes away to work for, so I thought I'd write a little post to give some insight. In our house, the set up is pretty unique compared to most households. Connor's job takes him to various different countries around the world, currently he's based in Singapore. He works away for four weeks, then comes home for four weeks. It’s always been like this since we met 7 years ago, but it has become more difficult since we had Rosie. When Connor is due to go back to work, I find myself checking my watch constantly, hoping that time will slow down and we will have more time to spend together as a family. Having this kind of set up helps us appreciate every minute of family time we get. We try to make the most out of Connor's time at home by taking Rosie to different activities, and doing a lot of things she hasn’t done before, so that Connor can be home for the first experiences. 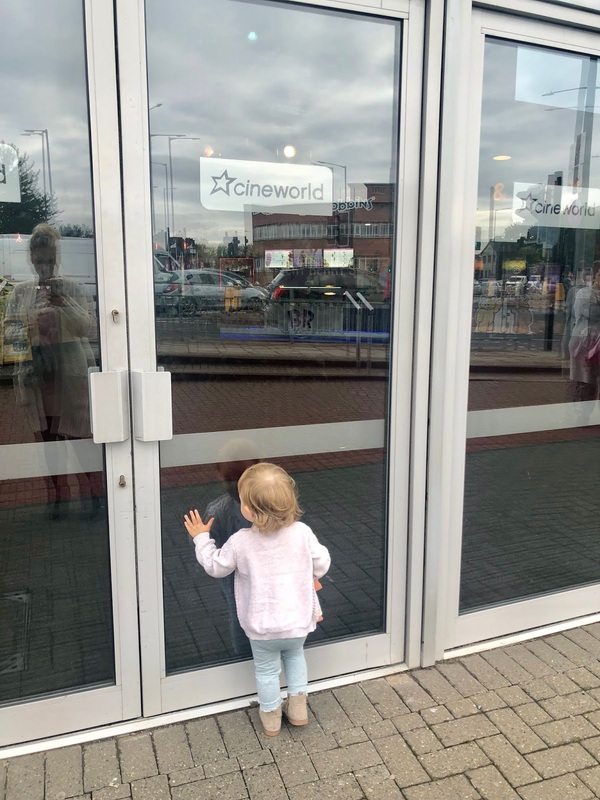 We recently took Rosie to the cinema for the ‘Movies for Juniors’ to watch Aladdin. She loved it! She enjoyed sitting on the steps more than the booster seat but by the time we got comfortable , she had fallen asleep. We’ve also been to CBeebies Land this summer, along with Mallorca, and Ribby Hall. We are lucky to have been able to pack lots into our summer this year, we just try to use our time together wisely. It’s great in the summer, but come Christmas time when Connor will most likely be away, that’s when it gets difficult for us. We also love to have cosy days in the house, especially now that the weather is cooling down, and stay in our pyjamas all day. We bake cakes, make dens in the living room, and snuggle up to watch a Disney film. These are the best days! You don’t always have to spend a fortune to have an amazing day, and Rosie doesn't know the difference anyway as long as we're having fun. We’re really enjoying this time with Rosie at the moment, she’s at a perfect age of just starting to talk, but being really funny too. We want her to stay this age forever! If you watch my Instagram stories, you’ll notice I use it to document a lot of our days in and out, and put it all in to one Rosie highlight. This is so that when Connor’s at work he can look back at everything we did the last time he was home and have lots of memories to hand.